We will give certificates and stickers! 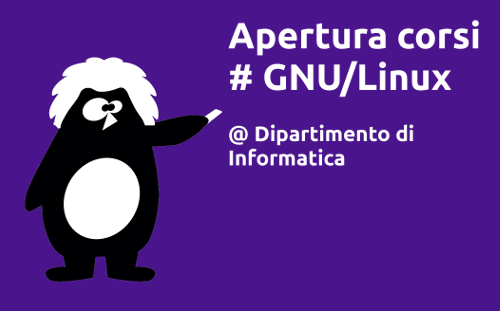 This day ends the lessons from an initiative promoted by the Linux Day Turin committee. The speaker list is not known yet. The content of this website is released under Free cultural work license CC By-Sa 4.0. You are Free to distribute and/or edit the content event for commercial purpose, as long as you back-link and share under the same license. Contact us at the address info@linuxdaytorino.org or at the number 348 7254214.
cloud_queuePage generated in 0.005783 seconds with 6 database queries. © 2019 Linux Day Turin 2016 - Some rights reserved.